PAUL Pisasale has lost the support of the Ipswich people, a poll run by the QT shows. On Thursday night, ReachTEL conducted a survey of 842 residents. Among the questions, residents were asked: If there was an election tomorrow and Paul Pisasale ran in it, would you vote for him? In response, 22.1 per cent said yes, 62.9 per cent said no and 15 per cent were undecided. It means Paul Pisasale would not win if he contested an election. The results are in stark contrast to a poll run in August 2017, when residents were asked the same question and feedback showed he would have likely secured the mayoral position. Mr Pisasale resigned as mayor in May 2017, and was charged by the Crime and Corruption Commission in June. At the time of the August poll, he was facing two charges of attempting to pervert justice, an extortion charge and two other charges. Yet 41 per cent of the 509 respondents said they would vote for the former mayor again. To date, 15 people associated with Ipswich City Council - including two mayors and two CEOs - have been charged by the CCC with offences ranging from official corruption to fraud and perjury. Political expert and Senior Lecturer at Griffith University, Dr Paul Williams, said the results showed Ipswich residents wanted change. "I'm not surprised Paul Pisasale's support has dropped. If anything, I'm surprised the numbers are still so high," Dr Williams said. "Paul Pisasale had a strong personal following and most of that vote would come from that following. "It is a little surprising though that someone who has, for lack of a better word, has had their name dragged through the mud still commands the respect of one in four voters. "But it shows there are few people in Ipswich saying 'let sleeping dogs lie'. 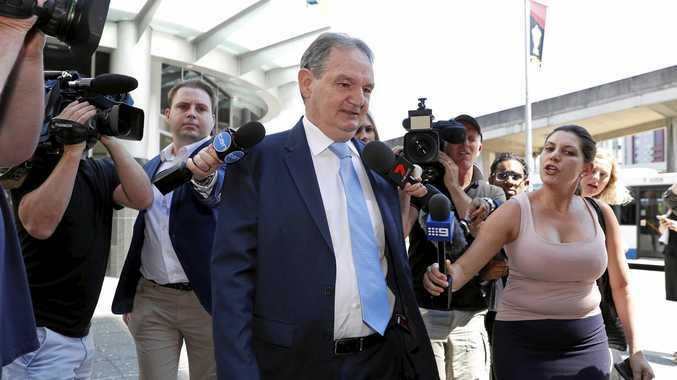 Dr Williams said there would be some supporters reserving judgement until the outcome of Mr Pisasale's court matters.